This city is often a jumping-off point for excursions to the Galapagos or Quito. 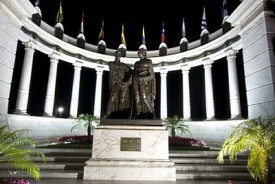 For those staying in Guayaquil, city tours are the best way to go. Most visit the parks and a few elegant old buildings, including the Victorian city hall, the public clock and the artists' quarter of Barrio Las Penas.